India is blessed by a treasure of great thinkers and poets who have showered the nation with their wisdom and intellect. Overcoming the artificial barriers of caste creed and color they have preached the concept of universal brotherhood peace and divine love. The four unforgettable religious thinkers and philosophers of India who have been at the centre of intellectual and religious attention are Kabir Meera Tulsidas and Surdas. Their contribution in the philosophical and religious realms can never be ignored and their timeless teachings are remembered respected and followed even today. Om fact their erudition always sparks many interpretations commentaries and discussions that have been continuously enriching the Indian religious and philosophical traditions. To provide you with a perspective on the thought process and wisdom of these famous four poet prophets we present their landmark verses. These poems by Kabir Meera, Tulsidas and Surdas treat universal themes and have great popular appeal even today. Their timeless thoughts and verse encompassing daily life situations guide Indians in every walk of life both in spiritual and social context transcending the bonds of communities and conventions place and time. Indulge in the teachings of these saints’ seers philosophers of union with the divine. Imbibe the wisdom they preach through these verses and find solace and solutions in their magical words. Benefit from this intellectual yet spiritual treasure! Surdas a poet musician who wrote in Brijbhasha echoed his eagerness to become one with Lord Krishna through his verses Born blind the date of his birth is sometimes given as 1479 AD and sometimes 1478 AD. The Date for his death is placed variously at 1584 AD or 1581 AD. A neglected child at home he had an inborn talent for music and rose to be recognized as a prolific writer and a composer who wrote and composed many songs in the praise of Lord Krishna. He is known for his Sur Sagar (Ocean of Melody) that is said to originally contain 100,000 verses of which only 8,000 have survived. These songs on the life and adventures of Lord Krishna were dictated by him to an assistant and are endowed with an inner vision that reflects the passion and dedication with which Surdas revered his lord. His loving description of Krishna’s life is sung very fondly even today in the form of Krishna Bhajans. Let Surdas instill in your heart the serene picture of the glorious lord Krishna. Get Submerged in Selfless and divine love as illustrious singers Ajoy Chakrabarty Suresh Wadkar, Sadhana Sargam, Mahalakshmi Iyer, Ravindra Sathe, Devaki Pandit, Ashit Desai, Hema Desai, Aalap Desai, Sanjeev Abhyankar and Parthiv Gohil sing his passionate compositions. A huge tidal wave of devotion was sweeping across India during the fifteenth and sixteenth centuries. 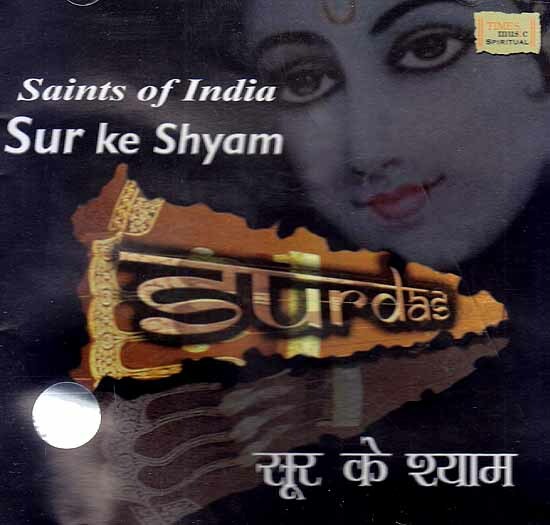 This album traces how Surdas the Sun of Indian poetry emerged in this devotional renaissance and wove the magic of different threads of sublime emotions in his songs and created vivid patterns of divine love that touched the hearts of everyone and became a leading disciple of Shree Maharprabhuji.